In the 4th episode of Experience Mornings, I take you through my morning routine, when things are in “hustle mode,” busy and rushing around. The topic revolves around how your day-to-day life, “your hustle,” impacts your experience with user interfaces. In this episode, Self Perception & Bandwidth, we recap our conversations about Diversity in Tech, Contextual Design, HCI (or Human-Computer Interaction) and we begin to tie it all together to talk about how you perceive yourself, as well as you contextual infrastructure (internet speed, device type, etc.) impacts your experience. In the second episode of “Experience Mornings” I continue my conversation about Diversity in the tech industry, and start the conversation about Contextual Design and HCI, or Human Computer Interaction. This is the first episode of “Experience Mornings,” a new video series that explores thoughts on design and tech while drinking coffee and wearing a robe. Today’s topic: #diversity in #tech in #SiliconBeach and, of course, my #dog Astro. As part of my new strategy for my site, I’m pulling out some video and blog posts from the archive. It’s a really interesting to get some context around my career. Below is a video from last year, when I was the Director of UX at Agentes Consulting. Stephen Ruiz from Agentes Consulting shares some insights about UX (User Experience) and Cybersecurity, defines the idea of a Visual Vocabulary and introduces Jayna Wallach, our new Director of Business Development in New York City. We’re also giving you a little insight into our time at Internet Week NYC 2013. In my last post, I talked at length about my tower of digital clutter and how it was keeping me from focusing on the most important things in my life. As I began to take a comprehensive inventory (which you can see in the handwritten diagram above), I had a sudden, powerful revelation. No wonder my digital closet was stuffed to the rafters. I came of age in the late-90s dot-com revolution! Mondo 2000, early Wired and forward-thinking intellectuals living on the “new edge” were all part of the zeitgeist. After finishing college in Texas, I couldn’t pack my bags fast enough. I hurtled toward the San Francisco Bay Area and Silicon Valley to become part of this new, infinite summer of love. The underground and capitalism had finally come together, and it was all going to be better than a Dave Eggers novel. Ultimately (and quite inconveniently), someone had to pay the actual bills, and all of that came crashing down faster than an effigy on the playa in Black Rock City. However, for those of us with thick skin and a willingness to soldier on through the fog, it was still possible to forge a life for ourselves in a post tech-bubble San Francisco. 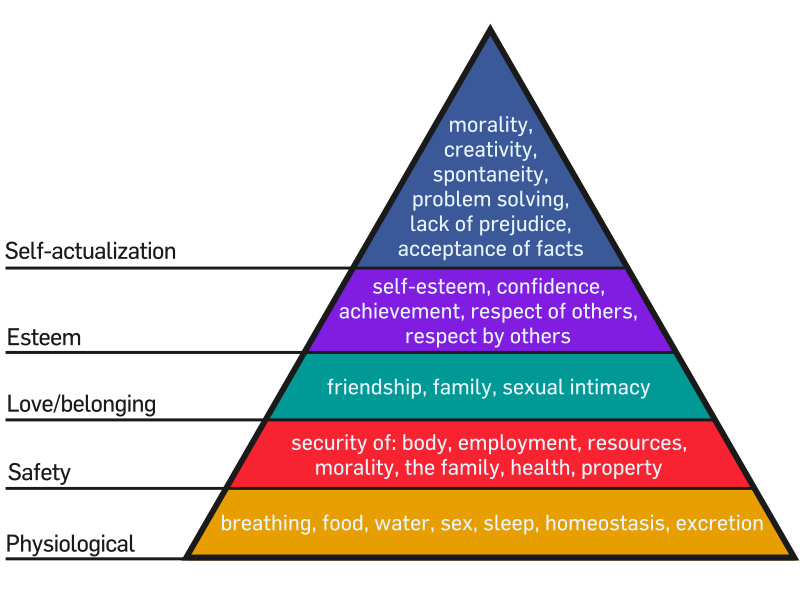 After all, once the issue of survival has been addressed, one must move up Maslow’s hierarchy of needs. Every single significant thing I’ve done since college has come from the Internet, whether directly or indirectly. My first financed car, my first apartment in Silicon Valley, numerous jobs, my entire career, and my son have ALL been a result of an “online user experience.” That’s a pretty heady thing to consider. In the grand scheme of my life, maybe that so-called “digital clutter” is really something else entirely. Last week I was reading an article on Salon.com about how Generation X will navigate its inevitable midlife crisis. Everything jolted into focus. My one-time punk rock, damn-the-man, raver, world traveler, underground music-loving teenage self had encountered his first real existential crisis right on schedule. My recent life has been marked by staggering changes. Within the span of a little more than two years, I’ve lost my father, become a dad myself and taken on more personal responsibility than I’ve ever juggled in my entire life. Over the course of this time, I’ve come to understand that my “digital clutter” is really more of a (cyber) security blanket. It’s my tentative “to-do list.” It’s my sketchbook of amazing, awesome things that I’ll one day do to change the world. It is the fulfillment of a promise that was made when someone read Oh, the Places You’ll Go to me as a child. It’s a myth that’s been perpetuated by my inability to accept physics. I’ve realized that the time of infinite choices is officially over, and it’s actually a bit of a relief. While I did at one point work with Elon Musk, the odds are against me ever having a spare three billion dollars and my own rocket-ship empire. 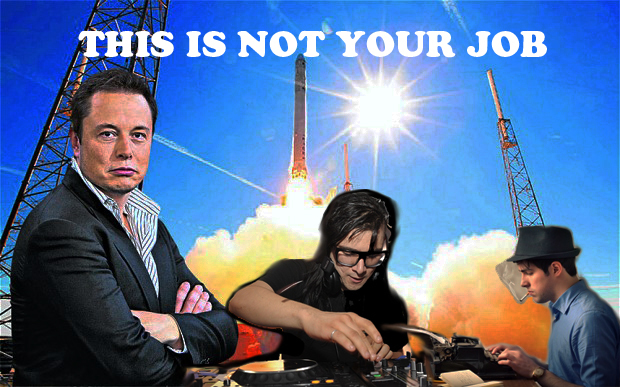 And although I did have some very high profile gigs as a DJ back in the early aughts, I’m pretty sure the window has closed on my ability to make it as an EDM superstar. Oh, and despite my best efforts to pen a novel which would have made me the “voice of a generation,” it seems as if that voice has already spoken and echoed again and again, and alas, the voice wasn’t mine. Believe it or not, this has been the most liberating realization in the world for me. I’m already doing what I always wanted to do. I just haven’t realized it. horn creativity into an old paradigm and it simply doesn’t work. I’m already doing what I always wanted to do. I just haven’t realized it. Those of us who are lucky enough to make a living as digital innovators are literally rewriting history every day. There really is no limit to what is feasible, but we must take responsibility for bandwidth issues and tending to our own space in the contemporary world. 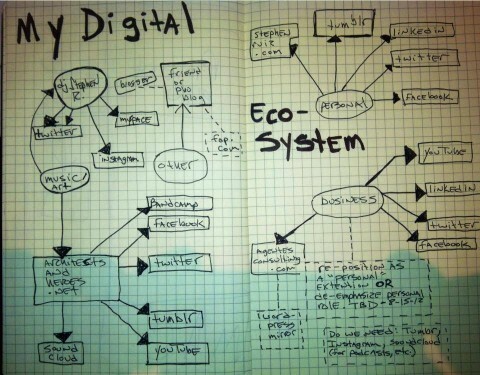 For me, it starts with prioritizing and paring down digital clutter.